Marjorie Anderson is currently a community engagement specialist for Project Management Institute, the world’s largest not-for-profit membership association serving the project management profession. She helps bring practitioners together and connect them to the resources they need to help make them more successful within PMI’s online community, ProjectManagement.com. She believes that, if you have members and customers that you serve, community can help you serve them better, and that creating a space for your members to come together to talk to you – and each other – gives organizations a huge opportunity to serve in a way they may not have before. With a heavy background in customer service, the skills that Marjorie picked up along the way made it an easy transition into the community space, and she hasn’t looked back. Marjorie is a believer in lifelong learning and has a special interest in helping to build strategies and influence decisions that provide a clear vision, bringing value to the organization, and those that its serves. Do you have any ideas for our 100th episode? Please let us know via email or Twitter! [00:00:04] Voiceover: You’re listening to Community Signal, the podcast for online community professionals. Sponsored by Higher Logic, the community platform for community managers. Tweet with @communitysignal as you listen. Here’s your host, Patrick O’Keefe. [00:00:24] Patrick O’Keefe: Hello. 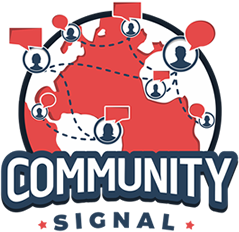 Welcome to episode number 90 of Community Signal. We are just 10 away from the big one 100. Do you have any ideas for how we should celebrate? I’d love to hear them via communitysignal.com or on Twitter @communitysignal. This week, I’m talking with Marjorie Anderson about merging 36 communities into one, and the realization she had after asking senior staff what their community actually was. Thank you to Joseph Ranallo, Luke Zimmer and Carol Benovic-Bradley for supporting our independent program on Patreon. If you’d like to join them and receive bonus clips and early access to the show, please visit communitysignal.com/innercircle. 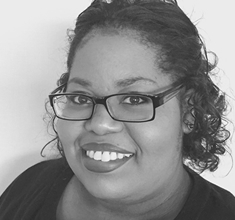 Marjorie is a community engagement specialist for Project Management Institute, the world’s largest not-for-profit membership association serving the project management profession. She helps bring practitioners together and connect them to the resources they need to help make them more successful within PMI’s online community, projectmanagement.com. She believes that if you have members and customers that you serve, community can help you serve them better and that creating a space for members to come together and talk to you and each other gives organizations a huge opportunity to serve in a way they may not have before. With a heavy background in customer service, the skills that Marjorie picked up along the way made it an easy transition into the community space. She hasn’t looked back. Marjorie is a believer and a life-long learning and has a special interest in helping to build strategies and influence decisions that provide a clear vision, bringing value to the organization and those that it serves. Marjorie, welcome to the show. [00:01:49] Marjorie Anderson: Thanks for having me, Patrick. [00:01:51] Patrick O’Keefe: It is a pleasure to have you on. I appreciate your support on Twitter. That’s how I noticed you listen to the show. I was looking at your background. We have talked about PMI before and ProjectManagement.com before. I was like, “We should totally get Marjorie on the show.” I’m glad we could find some time. [00:02:06] Marjorie Anderson: Yes. I’m glad that I was able to join you today. [00:02:08] Patrick O’Keefe: You’ve been working at PMI for 10 years, the last four of which in a community management role. Before you made the switch over to that department, you had seen a couple of internal roles that you were interested in that you applied for and, in your words, got shot down every time. What were those roles? [00:03:28] Marjorie Anderson: “I know what Twitter is. I can be a social media manager.” Again, I was told, “This is not the role for you.” I ended up having a conversation with someone from HR. She said to me, “I see your desire to move up and your desire to do something a little bit different, but you’re not applying for the right roles. Let’s sit down and talk about what is right for you.” That’s when the conversation around the virtual communities area came up. [00:03:54] Patrick O’Keefe: That LMS role, is that still something that you do at PMI? Learning management systems, is that still a job there? [00:04:01] Marjorie Anderson: Yes, it is. [00:04:02] Patrick O’Keefe: Okay. I was going to say if you had applied for it and got it, it’d probably be dead by now. That wouldn’t have been any good either [laughs]. [00:04:07] Marjorie Anderson: I know [laughs]. [00:04:08] Patrick O’Keefe: At first, when you heard about this community role and virtual community administrator, you didn’t apply for the first one you saw. Your instinct was that you wouldn’t be a good fit. Why was that? [00:04:18] Marjorie Anderson: Well, I took a look at what the role required. I thought to myself, “I have no experience here. This is not something that I’m prepared for. This is not something that I’ve studied up about. I don’t know anything it. This just isn’t the role for me.” I didn’t apply for it. Then I got a second interview with my now manager and I thought, “Okay, well, if things go really well and I get a third interview, then this might be the thing.” Then I got the third interview and a few weeks later, they offered me the role. I got to tell you, I haven’t looked back. This is definitely something that I have a passion for and I’m learning a lot and I’m glad I had the opportunity to step into that role. [00:06:04] Marjorie Anderson: It didn’t. The person who actually applied for it before, she worked in another department and we didn’t know each other. We work together now. She knew what community management was, she knew this is something that she wanted to do. At that time, the community program was, you had virtual communities administrators and then you had these communities of practice that were run by volunteer boards. Her passion was interacting with the volunteers and connecting them to the things that they needed in order to get their work done. That’s where her passion was and that really made her a really good fit for that role and working with global volunteers and global members. That really made her a fit. [00:06:44] Patrick O’Keefe: It sounds like you had a really proactive HR person who saw something in you [laughs]. [00:06:49] Marjorie Anderson: Yes. She’s great. She hasn’t steered me wrong since I’ve known her. [00:06:53] Patrick O’Keefe: ProjectManagement.com was acquired by PMI in 2014. As I mentioned before, when I had Ben Martin on the show in January, he referenced this and you told me that this ProjectManagement.com acquisition signaled the retirement of your communities of practice model. I’d love to hear about that model and why it no longer serve the needs of your members. [00:07:13] Marjorie Anderson: Sure. The communities of practice model was born from our previous model of having SIGs in colleges. We had these virtual communities that were subscription-based models. You had to pay a fee in order to join them. They operated online chapters. You had to pay a fee, they had volunteer boards and they were a little disjointed. They were duplicating work or they weren’t consistent in the experience. Our members pretty much told us, “This model’s not working for us.” We retired the SIGs and college model and moved to communities of practice, which you still had these separate online communities, but they weren’t subscription-based anymore. They were part of your member benefit for being a member of PMI. What happened with that model was it was sustainable for a while, but again you had some who were really thriving, that were providing really great content and consistent content and then you had some that weren’t doing anything, but we still had these volunteer boards that were intact supposedly running these communities of practice and it wasn’t providing a consistent member experience nor was it really giving them a feeling of community. One of the big challenges that we had with the communities of practice is that you could not find them all in one place. If you were someone who was interested in agile project management, you could join the agile community of practice. If you were also in construction, then you had to go and join the construction community of practice. The agile community of practice may have a weekly webinar and then a running forum where you can have discussions and the construction community of practice may not have that same type of interaction or engagement or worse yet, they’re duplicating content. It was just a really clunky disjointed experience and it served the purpose for a while, but then we realized we really need a place where people can come together in one spot, have conversations with each other and not have them just be centered around the way that the organization views project management. Because the flipside of that was that the content that was provided by these communities of practice had to be in alignment with our standards. Where we are now, that’s not that case. If I wanted to discuss PRINCE2 or Six Sigma, I was not able to have that conversation in that space. It was no longer serving our members the way they needed to be served. That’s when we really realized we needed to do something different. [00:09:50] Patrick O’Keefe: You have all these communities based around different industries, it sounds like, right? [00:09:56] Patrick O’Keefe: Different industries so with the project managers in different industries connecting together. They’re spread out separate communities, almost walled off from one another. About how many were there? [00:10:04] Marjorie Anderson: There were 36, and they weren’t easy to find. It’s not like we pointed you right to them. It was like you came, you purchased your membership, and then we used to refer to it jokingly as PMI’s best-kept secret. You have these little communities to practice that no one knows about. That was a big challenge as well. [00:10:22] Patrick O’Keefe: [laughs] Jokingly refer to. 36 communities, sounds like a lot of volunteering in those communities to help keep them going. Then you have a relatively small team that I assume was in and out of each of those communities on a regular basis just spreading across 36 different communities? [00:10:39] Marjorie Anderson: Yes. At that time, we had a team of three. We each had 13 to 14 different communities all with volunteer boards that had five volunteer board members. We had to manage them and make sure that they were doing the things that they were supposed to be doing, turning in speaker agreements, those types of things. We weren’t really managing the communities, we were managing the people that managed the communities, and that just didn’t make sense anymore. [00:11:31] Marjorie Anderson: Exactly. Well, they loved it because they had something that they could say they were making a huge contribution to the organization. It really wasn’t serving our members very well. [00:11:41] Patrick O’Keefe: Let’s pause for a moment to talk about our excellent long-term sponsor, Higher Logic. Higher Logic is the community platform for community managers with over 25 million engaged users in more than 200,000 communities. Organizations worldwide use Higher Logic to bring like-minded people together by giving their community a home where they can meet, share ideas and stay connected. The platform’s granular permissions and powerful tools, including automated workflows and consolidated email digests, empower users to create their own interest-based communities, schedule and manage events, and participate in volunteer and mentoring programs. Tap into the power your community can generate for you. Higher Logic, all together. Speaking of those volunteer boards, so you decide to move to kind of a singular online community, makes a ton of sense for the reason you just explained, but you’re shutting down those volunteer boards or at least their participation in running 36 independent online communities. How did you sunset that? And were able to do so successfully? Some of those people stuck around, they thought it was great, and they’re doing other volunteer roles within the organization because one of the things that they couldn’t do as a COP leader was also be a chapter leader because we knew what the demands of that role were and we didn’t want them to have any type of conflicts or wear them down, or things of that nature. Now that you’re not a COP leader, you can volunteer for whatever you want to volunteer for and actively participate in the community. That restriction’s no longer there. We try to show them what the perks of that was so that it didn’t sting so much. Like I said, then involve them in every piece of the process that we could up until the day that we finally went dark on those COP sites and then resurrected community as ProjectManagement.com. [00:15:21] Patrick O’Keefe: You’re totally off of volunteers now right ProjectManagement.com. You don’t have any sort of volunteer staff members on there? [00:15:27] Marjorie Anderson: Yes, there is no formal volunteer roles. We do have people who, like I said, were from the former communities of practice who stuck round to continue to facilitate creating content and forming content teams and working with users to create webinars and things of that nature, but in terms of a formal role that’s assigned to them, no, we don’t have those any longer. [00:16:24] Marjorie Anderson: Yes, we did have some volunteers who were already in that space and they thought it was a great idea. They thought this was pretty awesome that PMI was joining forces with ProjectManagement.com and that community was moving there. It made the adjustment for them a little bit easier, but for those who weren’t familiar, who were part of the old guard, so to speak, it was a little daunting and it was a little worrisome. They didn’t know what the future would look like. They dropped away for a while and some of them have started to come back and particpate as active members within the community. That’s been interesting to see, but in terms of the move and the people who were already there, some whom were volunteers with us, that made it a lot easier for them because they already knew what the tome of that community was and they knew what to expect. They just knew that then we’re adding a little bit of PMI’s voice to it. [00:17:17] Patrick O’Keefe: I guess the flip side of that is, obviously you were competitors, in at least some senses with ProjectManagement.com and PMI competing for some of the same dollars one might say. Was there any [laughs]– I’m not saying anyone stoked it or anything but is there any kind of competitive thing there where it was like you’re part of one but not the other and like choosing sides or people pretty much always are part of both? I think there was probably some hesitation there and not only among members but maybe even our staff as to what that will look like, but it’s really have been a great kind of marriage of PMI members and those who are not PMI members or certification holders. Those conversations are still very rich within the community and it just helps us grow. It’s really been a great journey so far. [00:19:00] Patrick O’Keefe: It wasn’t a Yankees/Red Sox rivalry or anything? [00:19:05] Marjorie Anderson: No, it wasn’t. Thank goodness. [00:19:08] Patrick O’Keefe: You mentioned merging content. I’ve talked to people who have done those sorts of things in different ways. I had a couple of community leaders from Pearson publishing on and they had 200 Intranets across the globe for their employees and they had to throw of this content into one another and it’s a big project. Did you have a lot of thought and strategy that went into the idea of merging content for 36 places while also not having 36 copies of everything and having the same type of conversations that are repeated across the communities and have that clog up the works? [00:19:41] Marjorie Anderson: We did, what we did was, we did something called content mapping. We took a look at the total of all the content across all 36 communities and said, “What do we have?” We were able to see where there was duplication of content and where there was original content and where there might be stuff that’s old or maybe was a volunteer board call that was held on the community site in a private session that didn’t need to migrate over. We were able to get a really holistic look at what we were dealing with before we moved it all over. I talked earlier about getting them involved in helping us to make this transition from communities of practice to integrated community. We had the volunteer board of each community of practice go through their content. Do this content mapping. We did the comparison before we moved it all over so that we could avoid any of that duplication of content so that it was a clean move versus now we have all this content within a larger community, how are we going to find what’s duplicated and what’s not? We tried to cover those spaces long before we made that move. [00:20:51] Patrick O’Keefe: ProjectManagement.com, again, was its own community, so we’ve got that content. Did you actually move any of the community forum posts, let’s say, the UGC and the community. Did you actually move any of those to within ProjectManagement.com or did you just go with what ProjectManagement.com had and start fresh as a new PMI endeavor? [00:21:08] Marjorie Anderson: We started fresh there. The interesting thing about our communities of practice, which is again one of the things that made us realize this wasn’t really working, is that the content that they provided was mostly webinars. They didn’t really have a lot of written content. There wasn’t really much in the terms of discussions. It was really about video content that they produced, the webinars. That was basically what we moved. All of the discussions, those were already in ProjectManagement.com, articles were there, templates were there. We really just used that as a starting point for, “Hey, this is now what content creation is really going to look like in this space.” Before we even did that, we tried to figure out how do we then get people to contribute content because the content on the site is user-generated, most of it. We ran a pilot for, I believe it was four weeks and we got some content teams together to create content in different languages, to create some original content, to put that up on the site just to get a feel for what bringing a content team together would look like, as well as individual contributors and that’s how we landed at a– We have a contribute content page that allows practitioners to then submit ideas for content that are vetted through the community engagement staff. We really started with what they had. [00:22:34] Patrick O’Keefe: You’re currently leading an effort to revamp the community metrics that you use. I want to talk about that, but as a starting point, what are the metrics that you are focused on now? [00:22:43] Marjorie Anderson: Right now, we are focused on some more along the lines of vanity metrics. We needed to start somewhere when we initially launched communities. We started with things like new users of the site, new profiles, number of content items produced, how many posts and comments are being produced on the site, the total number of connections and our average content ratings. For the first couple of years, those metrics were also a part of our balanced scorecard. While those were good metrics, they’re more quantitative than they are qualitative. They showed how much stuff we were doing, but it didn’t really give an accurate picture of what engagement looked like. We’re at the point now where we really want to take a good hard look at what does community health really look like and what should we be measuring in accordance to aligning with business goals and what the business is being measured against, in addition to those quantitative metrics. [00:23:47] Patrick O’Keefe: For those who don’t know, what’s a balanced scorecard? [00:23:49] Marjorie Anderson: The balanced scorecard is the pretty much overall metrics for the organization. How are we doing as an organization? Are members satisfied? Are our volunteers satisfied or how are we doing in terms of engaging our membership and our certification holders? It’s really an overall picture of how well we’re serving our membership and our certification holders. 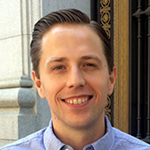 [00:24:13] Patrick O’Keefe: Moving forward, you mentioned metrics that tie to the business. I know you’re not there yet, you’re not done, but what is kind of the direction that you’re going in as far as tying specific metrics to the business? What are you looking at doing? [00:24:24] Marjorie Anderson: A couple of things that we’re looking at is how we affect member acquisition and retention. Not only from a community standpoint but from an overall membership standpoint, what are some things that we are taking into account? Are we making any waves in terms of bringing in new members and keeping them? We’re looking at things like number of return visits, time spent on the site. Actually, one of the great things that we’re able to do is track back whether or not the community site was an integral piece in someone purchasing memberships. If someone comes to our site, leaves and then comes back, we can see what that journey is and whether or not something that they clicked on on our site was a determining factor and then purchasing membership. We’re looking at things like that. We’re looking at member interactions in terms of messages sent between connections, discussion posts with comments versus those without comments. We’re looking at customer satisfaction. Are they satisfied with the content? Is it engaging to them? Are they sharing it? How are they rating it? Those types of things are really what’s showing us: Are people engaging with the community? Are they just coming here to look for something or are they really doing something once they’re here? Is it leading them then to pmi.org to look at our thought leadership or download some of our reports or purchase a standard or a certification or a membership? We’re looking for those ties that bind so that we can really show this is the value that community is bringing to the organization. [00:26:02] Patrick O’Keefe: Since you have essentially your community as its own thing, its own product, its own website, ProjectManagement.com, versus the PMI website, I guess you can say that these people came in here first. Obviously, you sell memberships directly through ProjectManagement.com so you can see that they’re buying a membership directly from that site versus buying it from the PMI site. You’re also able to show that, “Okay, this member first came as a ProjectManagement.com member.” That was why they signed up. It’s where they signed up. Then, later down the road, they bought this project from PMI or they paid for this class or they got this certification. [00:26:47] Marjorie Anderson: Right. The interesting thing is, unfortunately, we don’t have an ecommerce solution on ProjectManagement.com that allows them to purchase there, but we can link directly to the membership app on pmi.org for them to purchase membership there and then come back to ProjectManagement.com. That cycle shows specific correlation to the efforts that we’re taking to affect membership acquisition and retention from an organization standpoint. [00:27:13] Patrick O’Keefe: When you try to show satisfaction, I’m guessing you’re tying it into the community satisfaction with the community: Is a lot of that happening through surveys or are you basing a lot of that on content ratings? How do you think you’ll be approaching that? [00:27:24] Marjorie Anderson: Right now, we’re looking at content ratings. It’s really about the content quality and performance. Are people really satisfied with what we’re providing them or are there some changes that we need to make? We’re able to look at those types of things including comments to determine: Are we going in the right direction or do we need to make some changes to our content in our community programming that is going to be more satisfactory to our members versus just throwing some stuff out there assuming that that’s what they want? We’ve got some steps that we need to take in order to make sure that we’re approaching those types of things correctly because we’re starting from scratch. This community was already built when we got it, but it served a different purpose at that time. Now, that it’s part of an association, we need to really look at what should the community be doing for the organization now that it’s not the standalone entity. It is part of something bigger. How do we then make it work for the organization and still serve the members at the same time? [00:28:20] Patrick O’Keefe: It’s a lead machine. That’s what it is. That’s why they bought it. Pardon me, I don’t know the terms of it, but just from outward perspective. Hearing Ben talk about, it’s just the idea that it’s such a great way to connect with project managers. I don’t know, it’s funny because I talk to a lot of association people and about the association management space. We’ve had plenty on here, both from vendors, from people working in the association space, association managers and how important it is for them to shift their models up and how the idea of an association– associations are still struggling. How far PMI is as an association is much farther than the average association is the sense I get from talking to people in the association industry where a lot of associations don’t really even have a way to connect members online in any kind of conversational way. It’s just a member directory and an annual conference so it’s a merging of those two, I guess. You are already doing it but it’s, I guess, further embracing of that model moving forward is the importance of being able to connect members 24/7. [00:29:24] Marjorie Anderson: Yes, exactly. We try to use community as not only the online community, but as a connection point through all the different spaces that our members connect whether it be the annual conference or through a virtual event or through a specialized event like our PMO Symposium. We try to make community be that connection point all the way around even with our chapters. PMI, like you said, is a little bit further than most associations. It’s really exciting to see how we continue to evolve. [00:29:52] Patrick O’Keefe: You gave a presentation earlier this year to a room full of senior staff where you talked about community and how it applies to their work. You asked them to tell you what the community was. What happened? We’re not. That is not what community is. It really got me thinking that maybe we are not having the right conversations with people within the organization. When we first acquired ProjectManagement.com and we launched community in March of 2015, everyone wondered, “How will PMI utilize community?” There are some people within the organization who get it. They got it right off the bat. They knew exactly what this community was here to do and how it was going to help the organization and help move us forward, but many didn’t. It got me thinking that again maybe we’re having the wrong conversations within the organization about what community is. I can’t speak for my team members or for my manager but I know in some of the conversations that I had, it was more along the lines of, “Look at this great community that we have and we have these things here and these people here and isn’t this awesome?” All people hear is it’s a thing that’s more like a product. It’s this thing that PMI has. It’s the thing. If staff doesn’t know what community is, then how do we really know that our members know how to utilize it and what it is. [00:32:11] Patrick O’Keefe: What was the shift in that? What do you focus on to have people better understand what community is? [00:32:18] Marjorie Anderson: I think that one of the things that I’m trying to get people to understand is that community is strategy, it’s not a product. Community is designed to help you get things done. That’s not the only reason that it’s there. There are members who can provide you insight into the profession at large without you having to do formal market research. If you need a question answered, ask the community. If you want to see how people are connecting, look at the community. If you want to see how people are coming together, go to the community. That’s the place where you’re going to really find a way to move the organization forward. I’m trying to get people to see that again community brings people together. We want to be the place that offers that real sense of community among practitioners. There’s a lot of spaces they could go. They could go to Facebook and form a Facebook group, they could go to other communities that are talking specifically about their product or their service, but they choose to come to PMI and communicate in ProjectManagement.com. There’s a reason that they’re doing that. The conversations that they’re having will give us a lot of insight into the future of the profession. It can help guide our thought leadership. It can help guide a lot of our research. It can help guide our standards. It can help call people, who are subject matter experts, when you need someone to help rewrite a practice standard or something like that. My goal is to get people to see that it’s a strategy. There’s a lot of meat and a lot of beauty in that community that you’re missing out on by choosing not to be involved or maybe not knowing how to get involved or take a look. I think that one of the things that people are afraid of is, “If I join ProjectManagement.com and create a profile, then everyone will want to connect with me and ask me a hundred questions about PMI and I just don’t want to be involved in that.” That’s not the case at all. All of us as community engagement specialists are part of the community. My manager is part of the community and people don’t ask us anything. They’re not there to talk to us, they’re there to talk to each other. We simply help guide them to the things that they need. -a year later and ask the question again and see what the answers are. [00:35:04] Marjorie Anderson: Exactly. It’ll be interesting. I usually have it at the beginning of the year. At the beginning of 2018, we’ll see what that looks like. [00:35:11] Patrick O’Keefe: Marjorie, thank you so much for being on the program. [00:35:14] Marjorie Anderson: Thanks so much for having me. It’s a pleasure. [00:35:16] Patrick O’Keefe: We’ve been talking with Marjorie Anderson, community engagement specialist at Project Management Institute, where she helps manage ProjectManagement.com. You can follow her on twitter @MarjorieAyyeee. That’s Marjorie A-Y-Y-E-E-E. For the transcript from this episode plus highlights and links that we mentioned, please visit communitysignal.com. Community Signal is produced by Karn Broad. We’ll be back soon.